Alex Garza is a first-year student from New Jersey majoring in occupational therapy. 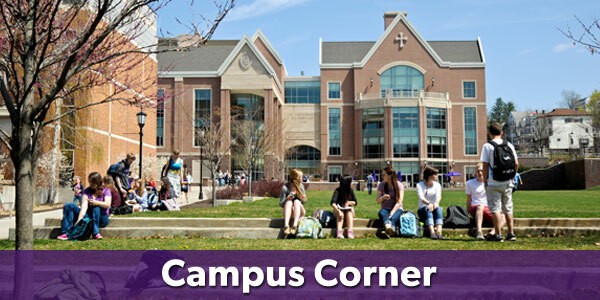 We reached out to Alex to find out about her first semester here at Scranton. 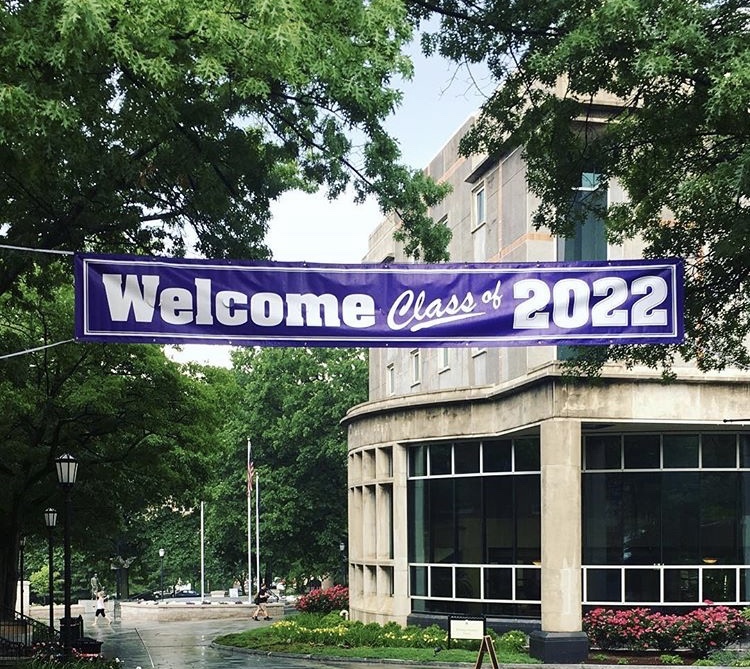 What were your expectations about college before coming to Scranton, and how have they changed or stayed the same after spending a semester here? Before coming to college, I was extremely nervous because this was my first time away from home for more than a couple of months. I knew the coursework would be harder, and I knew I was coming into this school not knowing anyone. I didn’t really have a lot of expectations because everyone’s college experience is different. 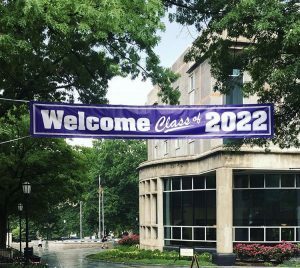 After staying a semester here, my expectations changed, and it has been a great experience so far. My favorite thing at Scranton so far is the activities I’m involved in and the friends I’ve made here. My two favorite things I’m involved in are the Royal Harmony a cappella group and the Liva Arts performing arts program. My first semester with Royal Harmony was so much fun! This was my first time doing a cappella and it was an interesting experience. Those girls are like my family here, and they’re really good friends of mine! I just got into the musical for Liva Arts and, so far, the experience has been amazing! The kids are so nice, and I can’t wait to perform with them in April. I’ve been performing for years and finally doing it in college makes me so happy. What shocked you the most about your first semester? There was nothing really that completely shocked me so far here at the University. The one thing I can think of is that I never knew that I was going to be so involved right from the start of my freshman year. I joined so many clubs and organizations here like a cappella, Liva Arts, SOTA, Relay for Life and Royal Ambassadors. I thought I was going to only sign up for one to two clubs, but I love being involved so I’m really happy that I did that. How did you find the adjustment from high school to college? The adjustment from high school to college was weird but good in many ways. The major thing that was hard to adjust with at first was the number of people here. I went to a small private school in Bergen County. My graduating class only had 44 students, and the class size ranged from 5-18 students. There are about 4,000 undergraduates here at the University and, if you combine that number with the number the graduate students as well, it is a lot. That was one of the major adjustments with coming here. I would say the course load was a big adjustment too, but it seems easier now with time management for my second semester. Lastly, coming into a school not knowing anybody was scary. I knew everyone in my high school since it was very small. I found an amazing group of people and, every now and then, I meet new people. It has been really fun.